Hello everyone, ForeUI V2.47 is out today and you can download now. 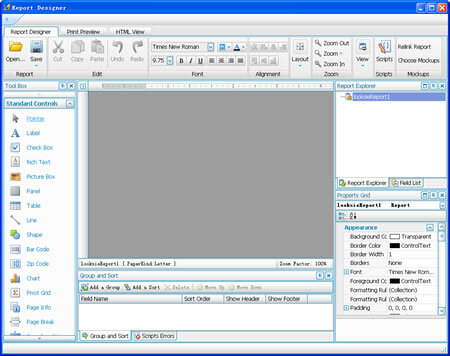 There are many new features and enhancements included in this version. Please read on. Now ForeUI can exchange data with external applications via clipboard. 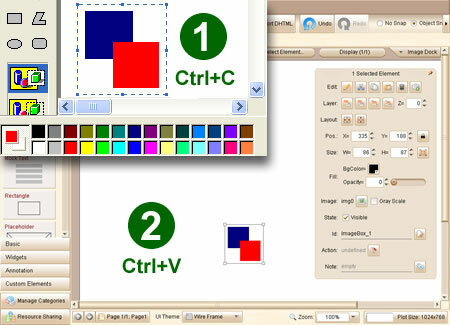 You can copy image from any application and paste it into ForeUI as an ImageBox element; you can also copy the selected elements in ForeUI and paste them as an image into other drawing applications. What’s more, you can directly drag image or plot file into ForeUI now. The image file will be converted to an ImageBox element if you drag it to the editing area. If you drag an image file into the image dock, it will be stored there. Dragging a plot file to editing area or the tabs for plot will load the plot in ForeUI immediately. Now you can use properties in the “Pause a While” action, that means the delay time can be changed during the simulation. In previous versions, all ImageBox elements will be exported as a PNG files, even if they all link to the same image in image dock. Now we reduce the redundant files, if multiple ImageBox elements link to the same image, only one PNG file will be exported for their references. Improve image dock rendering performance. Auto add backslash before ” or ‘ when editing message of User Decision branching and Show Message action. Generate log files to user’s directory. Bug_0240: Line and Arrow Line elements can not be displayed in V2.45. Hello everyone, ForeUI V2.45 is out today as scheduled. This version is focusing quality and performance. Enhancements cover DHTML generating optimization, new id allocate algorithm, popup tool windows management and much more. This is an exciting enhancement as it decrease the file number and total file size, thus reduce the time for simulation loading. How did we do achieve this? It’s simple and straightforward: we merged the script files and images files for each elements, thus the file number can be decreased and the space for image file headers can be saved. The effect of this kind of optimization will be quite significant when plot become big and complex. Here are some testing results against V2.45 and V2.42, which use the “Fwitter.4ui” plot as testing sample. We exported the plot to DHTML simulation using V2.42 and V2.45 respectively. The file number and total file size are measured. We open the native simulation in different web browsers to measure the local loading time, and then upload the DHTML simulations to web server and open the remote simulation in different web browsers to measure the remote loading time. It is not a strict testing, however the result can still give us a rough idea of the effect. The good news is that the effect will be enlarged as the plot become bigger and more complex. You may notice that the loading time on IE (and Opera for remote loading) is much longer than that on other browsers. After optimize the loading performance on IE is improved a lot and the difference is much smaller now. Before V2.45, if you copy an element with id “Button_1″, and paste into the same plot, the newly pasted element will have an id like “Button_1_1″. If you repeat the steps several times, you may get an element with a very long id like “Button_1_1_1_1_1_1_1_1_1_1″. That’s very bad thing as you can not count out how many “1” in the id by first glance, the ids are long and not readable. Now in V2.45, if you copy and paste an element with id “Button_1″, the newly pasted element will have an id like “Button_2″. After several repeats, you will get an element with id like “Button_18″, this is much better, isn’t it? What’s more, the new algorithm will try to keep the additional info in ids. e.g. if you copy and paste an element with id “CheckBox_Option_1″, you can get the new element with id “CheckBox_Option_2″. That can help you to understand the new element is similar with the source element. 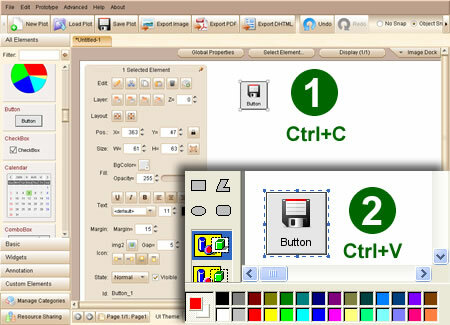 Another enhancement is that when minimizing the window of ForeUI, all opened tool windows will be hidden as well, thus you can work on other applications without interference. When you restore ForeUI window, these tool windows will be restored too. It is recommended not to use negative Z value, because in web browsers other than IE, the element with negative Z value can not receive any mouse event. So we make some enhancements to avoid the negative Z value being used. Also the Auto Adjust Z Value feature will not set a negative Z value anymore. Validate path before saving the plot file. Highlight the editable part of id when element id editor window shown up. 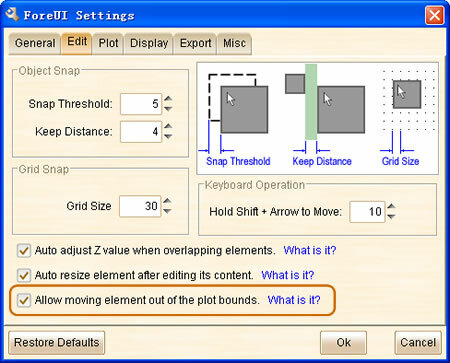 Allow setting z value for embedded element. There are more exciting features under development, such as generating plot for existing web site and testing system for prototype etc. In this article I will mainly focus on the report generation and report design features of Looksie. This feature will be quite useful if you have a complex prototype and need to review its details. Looksie already provides some finished report templates; you can use them to generate the report for your ForeUI plots on hand. To generate the report, just click the “Run Report” item in the “Report/Document” list in the Navigator, then a new “Reports” page will be opened and you can see two lists on it. The upper list is for the loaded plot files, you can open as many plots as you need and generate the report for all of them. The lower list is the report templates discovered by Looksie, you can choose a template and click the “Run Report” button below to generate and view the report. The report preview window will shows up once you click the “Run Report” button. In this window you can review the content report page by page (just like browsing a World document). You can save the report to .prnx file so that you can open and review it with Looksie. You can also print the report to papers or export the report to many formats, such as PDF, HTML, RTF, XLS etc. 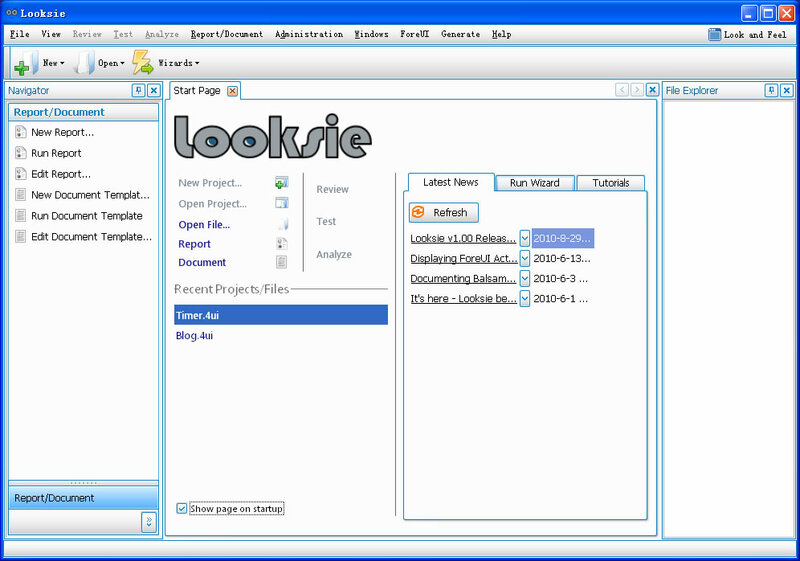 Here is a step-by-step tutorial of report generation on Looksie official web site, which is really helpful. 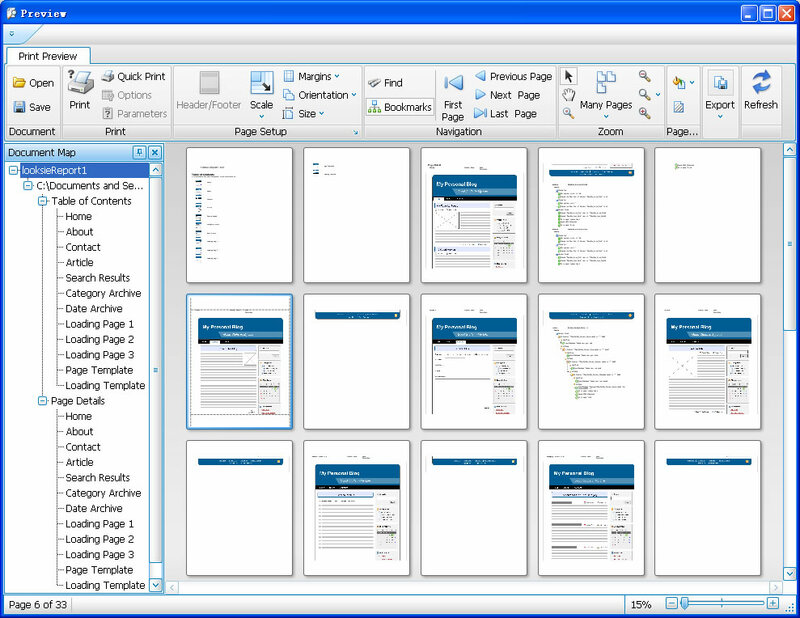 The most exciting thing is that you can create your own report template! You can design how your report will look like, from content to layout, to coloring etc. 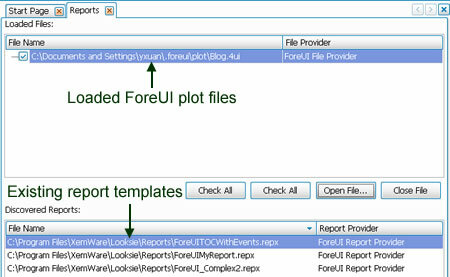 To define a new report template, just click the “New Report…” item in the main GUI, then choose the “ForeUI Report Provider” to continue, the report designer will be opened. The report designer is very powerful. 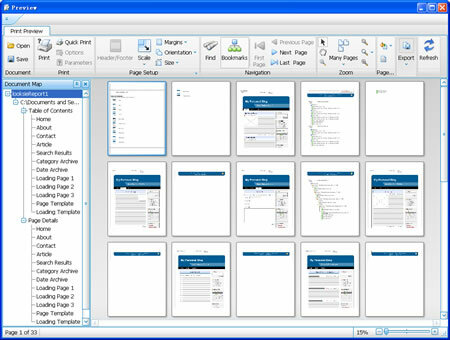 It allows you to create the report structure from scratch. However you need to know more about the report structure and ForeUI plot data structure to use the report designer. 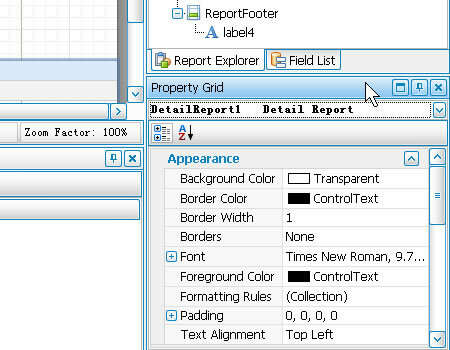 In the report designer, a report consists of multiple bands, and all bands have the same width (equals to the page width). For example, a report can have a header band, a detail band and a footer band, and each band can have multiple child bands below it. Here is a figure that showcases how a report is generated with given report template and plot. As you can see the report detail band will be repeated automatically if it is bound to a collection of details. 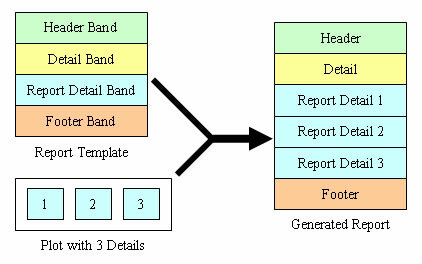 Since the report detail band can be nested, it can represent really complex data structure. You can always browse the band hierarchy in the Report Explorer on the right in GUI. 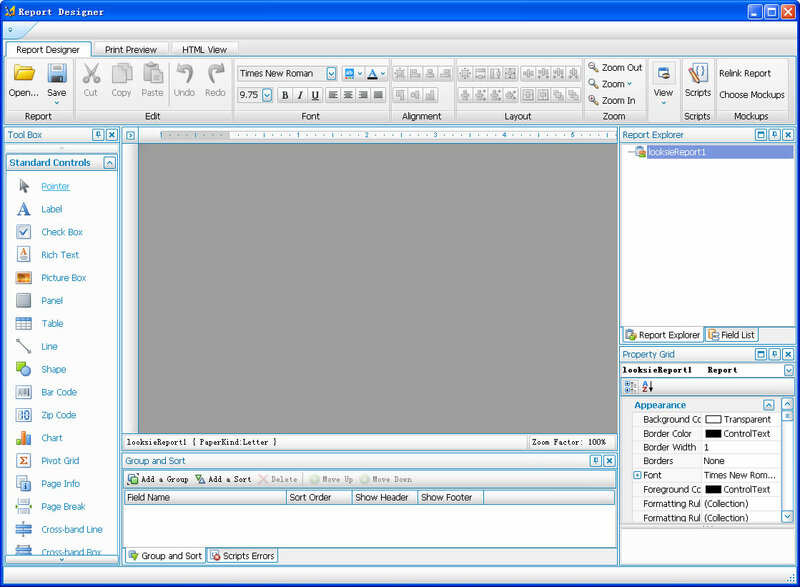 The gray region in the center is the report editing area. We can right click this area and trigger the context menu, then select the band to insert. When inserting report detail band, you can also specify the detail collection to bind, the collections has a name that starts with “#”. Tweaking the band is very easy, you can drag the bottom of a band to adjust its height, and you can also change its properties in the Property Grid on the bottom right corner. 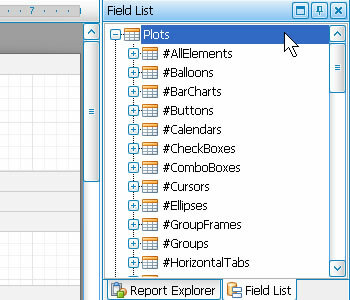 In the report designer, the data of plot is mapped into fields, which can be reviewed in the Field List on the right. In the list, a collection will have a name starts with “#”. 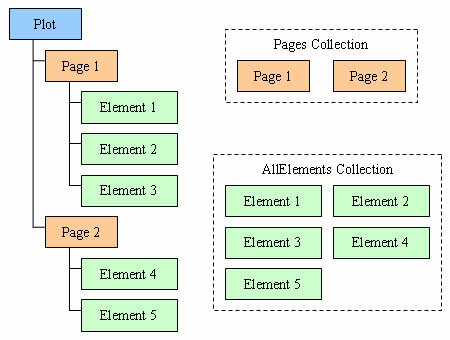 For instance, the #AllElements is the collection for all elements in the plot. As you can see, there are many collections fields available in the list, so that you can bind them with detail report bands as you need. You can even drag the field into the report area directly, the report design will smartly create suitable component and bind with the field. Creating new design template is kind of complex but also interesting. 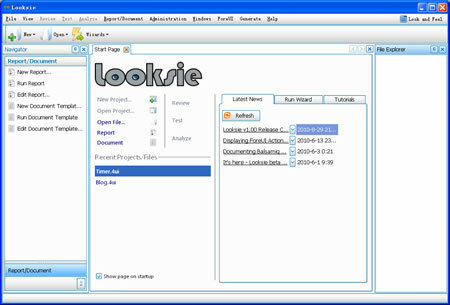 Here is a detailed tutorial on Looksie web site, which helps you to create a new report template step by step. After finishing a template with the guidance from tutorial, I think I could really create something I need. 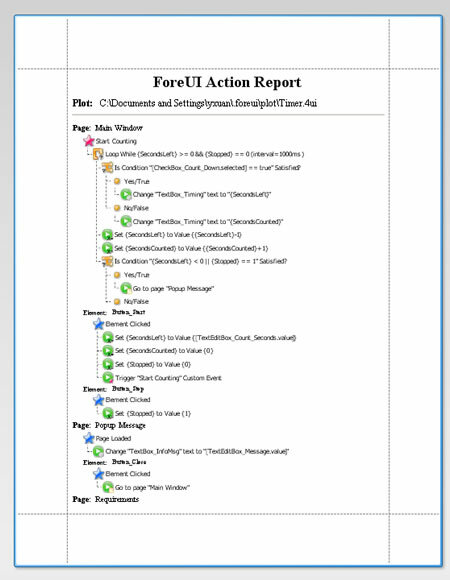 In the ForeUI support forum, the ability to print out all behavior definitions is required here and here. It is a shame that after so long time we haven’t provide this feature yet. However it seems that we could do this with Looksie now. I worked on it for one hour or two and created a report template for behavior printing. Below is the preview of the action report for “Timer.4ui” example plot. The report generation and report design feature is quite useful for ForeUI plot reviewing. Although the report designer is kind of complex for the beginners, it could be improved by providing more detailed documents and tutorials in the future. As a newly launched product, Looksie is good enough and worth trying out.